With just over a week to go before the launch of the new WagonR, Maruti Suzuki has revealed the official images, and we have to say it looks extremely promising. 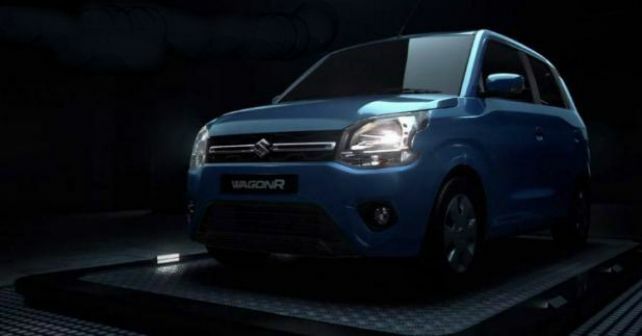 Maruti Suzuki will launch the Wagon R on 23rd January. The images released reveal the Wagon R to continue with the tall boy design, something that we knew from the spy shots and teaser images. Unlike the previous generation model, the Wagon R has a marginally curved face with the bonnet smoothly flowing into the new single slat grille. The headlight unit seems smaller than before and the bumper is considerably edgier than before. At the back, the Wagon R gets vertically stacked tail lamps. Moving inside, the dashboard gets a dual tone black and beige treatment with a large touchscreen infotainment system in the centre. To keep the costs in check, the Wagon R may not come with Apple CarPlay and Android Auto. The steering wheel, however, will get mounted controls and buttons for Bluetooth Telephony. Other features include a 12v charging socket, manual controls for the air con, electrically controlled ORVMs and more. Considering that the Wagon R is based on Maruti Suzuki’s new HearTect platform, it may be more spacious and lighter than before. The Wagon R will be offered with two engine options. While it will continue with the 1.0-litre three-pot Petrol in the lower variants, the top-spec trim will come with a 1.2-litre motor. The former is good for 68 horses and 90Nm, while the latter makes 83bhp and 113Nm same as the Swift and Baleno. The top-spec variants will also get the option of an AMT. Bookings for the new Wagon R have begun already. The car will be launched in seven variants and six colour options. Expect the Wagon R to be priced in the Rs 4.5-5.5 lakh range. At that price, it will go against the likes of the Tata Tiago, Datsun Go and the new Hyundai Santro.